At the onset of practicing sight singing, it is often advantageous to learn the basic sight-singing practices. The Italian equivalent of sight reading is “prima vista” which means “at first sight.” Sight-reading or prima vista is the process of reading and at the same time performing at first glance a musical piece that is written in musical notation. Being able to sight read musical note leads to the development of the skill of being able to sight sing. The person who is capable of sight singing is called a sight singer or someone who is capable of sight singing a musical notation. Sight reading is a prerequisite to sight-singing because if you are not used to sight reading, you can never do sight singing. Hence, before you can perform a vocal sight singing, you should be well-versed with the system of sight reading. On the other hand, sight singing is useful in harnessing and enhancing your sight-reading skill. With constant practice in sight singing, you can polish your pitch accuracy and improve your rhythmical skill. Furthermore, if you want to improve your sight-reading skill, you should practice with different melodies wrought in different rhythmic variations and keys. Reading musical notes is a prerequisite for all classical musicians. Classical singers should learn sight reading and make it second nature to them to recite or sing those notes upon seeing those notes for the first time. However, those who were not classically trained sometimes must rely heavily on cues provided by instruments to figure out the exact notes and keys. Singers who were trained to sight read usually take into consideration three important factors, namely, rhythm, pitches, and words. It is fortunate, however, that singers do not have to read all lines at the same time, and they only need to read one line at a time. On the other hand, pianists and other instrumentalists usually must read several lines at the same time to be able to completely read the musical notation that they are going to perform. On the downside, however, singers must read both lyrics and notes at the same time as compared to instrumentalists who must only read notes. This apparent difficulty becomes too obvious whenever the lyrics are written in a foreign language. There are difficulties concomitant with sight-singing since more often, musicians must sing and play the rhythmic notations and pitches. 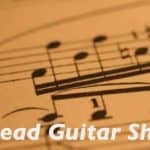 This requirement becomes more difficult in the case of musicians who don’t have any frets, keys, or valves on their instruments to guide them in the process of getting the right pitches. In other instances, the accompanying difficulty is inherent in the piece itself and the instruments being played. If you are sight singing using a polyphonic instrument, for example, like that of the classical guitar, you would find sight singing more challenging, considering that you must play both polyphonic and polyrhythms at the same time in various positions utilizing divergent frets. First, you should familiarize yourself with the key signatures. You should know at the onset which key you would be in. Would you be using minor key or major key? You should try to figure out too beforehand the number of beats in every measure and grasp the tempo of the musical notation. Third, you should figure out the first note with the help of the piano. The more you are cognizant of the different notes, the faster you can figure out the first note, and the quicker you can sight read musical notations. At the onset, you must recall each note. Soon after, you will have the facility of reading various notes. Moreover, you will also get used to counting the spaces and the lines with ease. As you get used to reading music, you will become faster in sight reading, and the process will become smoother for you. Once you become already cognizant of the key where you are in, you should likewise figure out where the movable “Do” is. You should likewise identify the “So.” Once you are able to identify these notes, identifying other notes would become easier. As you become very familiar with solfège, you will soon notice that you are becoming a better sight reader and an accurate one. Perfecting the Solfège or the ascending scales of notes would help you get the hung of sight singing. On the other hand, a small number of singers, however, prefer the usual numbered system of “12345671. 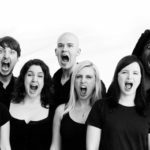 Ear training usually goes hand in hand with sight singing. At the onset, you must develop an inner hearing skill designed to enable you to immediately figure out the notes. It is like picturing the sounds of the notes even if you are not hearing them. As you begin to develop that inner hearing skill, you will soon notice that sight singing would become very natural to you. As you continuously practice sight singing, you will find that words are not that important as that of the rhythm. You will likewise see that pitch is less important than rhythm. If, for example, you miss the pitch, but you are able to follow the rhythm, you can still immediately catch up with the rest of the group, knowing that you are in the right place still. However, if you are out of rhythm, you need to stop, and try to figure out the right rhythm. You can never really practice sight singing if you don’t have a musical piece to practice on. There are many available musical notes online, but make sure you start slowly or follow a gradual step-by-step process of learning. Start with easier one-liner stanzas, and then move on to the longer lines, and eventually, to full-length songs. 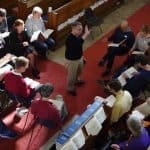 Moreover, it would be good if you have a choir group to practice with, for you will be taught a lot of musical notations if you would become a choir member; and with greater number of practice, you can smoothen and polish your sight-singing skill. You can likewise hire a music or voice teacher if you want to become a professional sight singer. In this way, you will be ably taught on the rudiments of note reading and sight singing. Some people find it difficult to get the hung of the beat. However, through constant practice, you will soon get the right beat immediately. You can also practice tapping the beat. In this way, the beat will sink into your subconscious mind for immediate retrieval. Moreover, if you really want to develop an awesome beat response, you need to practice with a metronome. Rhythm is the pattern of regular movements. You can master the rhythm as you practice often. Always remember that rhythm is more important than pitch and lyrics. Even if you play the right note but fails to follow the rhythm, you will end up at a loss while sight singing. Melody is the combination of rhythm and pitch. Hence, learning how to determine pitch and rhythm is necessary before you can go to mastering melody.